Starware is coming to our Tech Jobs Fair in Amsterdam! If you are still job hunting online, this is your chance to meet their team in person and get the opportunity to work with highly motivated and skilled professionals. 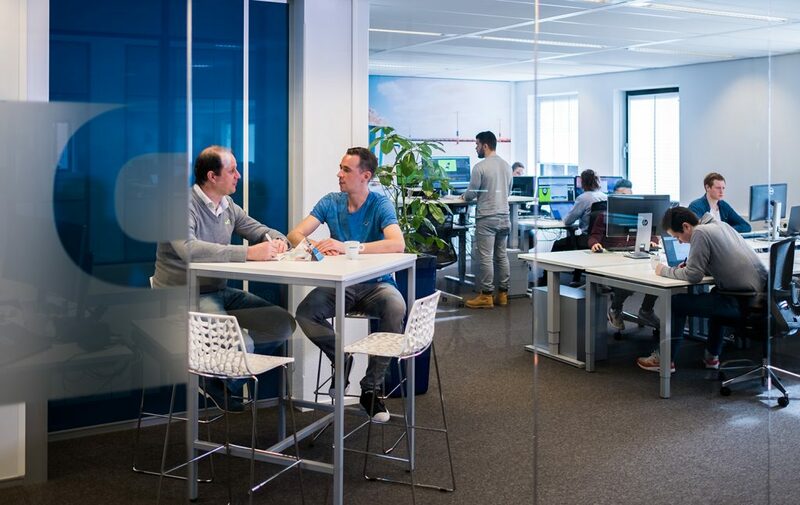 Our Amsterdam Tech Job Fair will be happening this 11th of April. Get tickets here to join us. For the meantime, here is some important information you need to know about Starware to prepare yourself before the job fair starts. What’s the story behind the creation of Starware? Starware was founded by two friends in 1992 as a small computer hardware company in Reeuwijk. A lot has changed over time. The two friends have become a group of more than 45. The computer components have been replaced by IT solutions and services for the logistics and Supply Chain world. Starware has also opened new offices in Venlo and Hamburg. What has always remained is the open corporate culture, a good balance between work and home and an original, humorous approach. Our organisation is as flat as it gets, we have no management layers and organise flexible cells around the work we do. We strongly believe in empowering our teams to get jobs done. We always keep in mind that we are in it for the long run, and want our co-workers to feel great of the work they are doing and how they are doing it. As our teams consist of trained software developers with a huge interest in supply chains, we tend to look at things a little different than the usual supply chain consultant. Our ideas are always set out with an agile mindset, we challenge the status quo and often solve problems in ways nobody looked at yet. Starware is open to all and we enjoy the diversity of our team, regardless of what they look like, where they come from, how they worship or who they love. What binds us is that we all want to do good work, our drive to keep improving, have a good sense of humor and our ability to put things into perspective. Do you have a passion for logistics software? Our dream team-member already has JDA WMS experience or has worked on other WMS and is eager to learn about newest technologies. But most importantly, you are a team-player with great problem solving and analytical skills, who works in a precise and structured way. You are proactive in suggesting your own ideas to the client when you see potential for solution improvements. “At Starware, we have very straightforward communication and there is always someone to reach out to in case you need help.” – Marco Schouwenaar, Senior WMS Consultant. 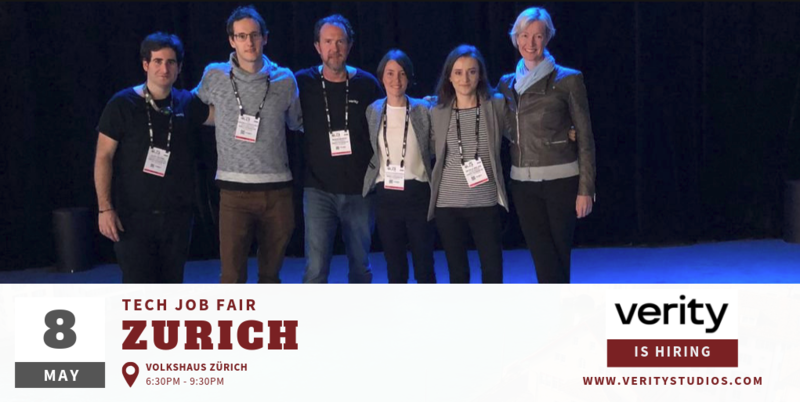 Remember, Starware is coming to our Tech Jobs Fair in Amsterdam on the 11th of April, 2019! Please bring your CVs and be ready to grab your chance to work with this great company. Get the latest updates from Starware by following them in Facebook, Twitter, LinkedIn, YouTube and Instagram. Putting your dreams into reality might be the greatest achievement you could ever have. And seeing that happen is part of our success. Our Berlin Tech Job Fair last 29th of March was a success! And this won’t happen without all the companies who were there with us. Staramba was one of them and we can’t express enough how glad we are for having them. Staramba started with producing 3D figures using their own 3D scanner and morphed into the idea of using the scanner into producing avatars for the use of their own Materia.One! They started in 2014 with the idea to revolutionize the merchandise market. They hired experts to develop their 3D scanning system called 3D Instagraph©. 3D Instagraph© is their unique, self-constructed scanning system that enables them to digitize the human body and present the resulting avatar for digital purposes. Materia.One is the dream realized to have the ultimate Virtual Reality (VR) experience featuring stars from the sports, music and entertainment industries. Staramba SE is going beyond borders in the world of VR and Materia.One is their approach of revolutionizing social network for celebrities and fans. They have an impressive database of thousands of digital avatars of celebrities, athletes and TV entertainment. It is the foundation of the next big thing in VR. Staramba SE is positioned to take the VR world by storm, define its parameters and perspectives and redefine the entertainment experience by creating the world’s first interactive social network in VR where fans communicate and interact with their celebrity of choice in innovative and mind-blowing ways. The company is creating the next evolution to connect. They are going beyond the limitations of social media through creating social virtual reality. Users can now navigate through and discover 'live' content. They are giving users the opportunity to have an option of discovering things in real time. Interested to know more about Staramba? You can visit their website, Facebook and Twitter to get more information about them. Looking for an employer is not easy, and landing a job makes you have to invest time and money. We can put an end to your searching because our event will surely help you. Let's achieve your dream job while saving the most out of your time. This 11th of April, our Tech Job Fair will happen in Amsterdam, and together with us are these 16 great companies waiting for job seekers. Have your target company/ies now as we will provide some info about them. Grab this chance and discuss with them in person. Don't forget to get your tickets here! SIG gives technology leaders the visibility they need to address current software problems and prevent future ones from ever happening. They operate a unique software evaluation laboratory governed by the Quality Management System as required by the ISO/IEC 17025 international standard for testing and calibration laboratories. Talent.io lets you work with their founders and country managers, take ownership of projects you care about, brainstorm with anyone on the team, design-thinking style, and make an impact by disrupting an entire industry. American Express delivers an unparalleled standard of excellence in everything they do. They offer world-class Charge and Credit Cards, Gift Cards, Rewards, Travel, Personal Savings, Business Services, Insurance and more. They always deliver these innovative products as their customers always expect the best out of it. Testbirds have the goal of supporting companies with the optimisation of their digital products. They support its customers through their expertise and innovative testing solutions in satisfying user’s and their own demands for quality. Workindenmark offers you the shortcut way to start your career in Denmark. They provide international job seekers and Danish employers with the information, guidance and tools to find each other. Magno IT provides the entire spectrum of resources needed in IT projects and IT “business as usual” activities; from strategy and architecture to development, testing, system administration and project management; with their high-quality international database, a dedicated advertising budget and use of social media. iJsberen's goal is to build an advanced data science backend to invisibly power a mobile frontend of exquisite beauty. 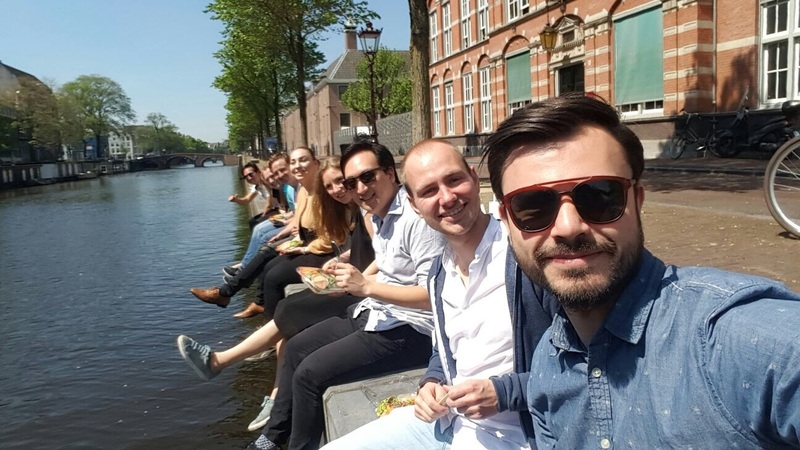 They are Amsterdam’s coolest mobile-first data science incubator. bunq is the only bank in the world that letting their customer decide what happens to their money- they can choose if and how their money is invested through the use of the app. Lucidchart provides an intuitive and collaborative diagramming solution for the entire organization and they currently have over 15 Million users. It is the only Visio online alternative that offers Microsoft Visio import and export, so it's easier to transfer the work to the cloud. Starware love logistics. They are an IT service provider specialised in solutions for the supply chain industry. They continuously improving the processes of their customers' supply chain by implementing JDA Warehouse Management Software- the best WMS in the galaxy- and creating customised solutions with their Grid Software. FareHarbor is the best online booking and management software for tour and activity companies, but they go beyond software by saving the money and helping the business grow. Oogst provides a digital marketing strategy. They devise and create effective online campaigns. Their services and technology are all about reaching the right people, with the right message at the right time. Altius help businesses to harness their data and use it to understand, model and predict business performance – delivering improved engagement, efficiency and profitability. Their vision is to design innovative solutions that transform the way people use data and that set new precedents within the industry. smart BANEN wants to be the HR platform for innovation and new technologies in the labour market. Where people and companies with smart ambitions can find each other. They are active in a rapidly changing labour market that is increasingly influenced by the application of technology and innovation. Financial Assets is active in the Investment sector, Banking & Insurance, Pensions and we work for the financial column of Corporates (the "CFO domain"). Their customers are both national and international parties, both large multinationals and specialized niche parties. Plek connects people across teams, departments and organizational boundaries. It changes the way people communicate, collaborate and share. It has all the essential functionalities and more: news, profiles, groups, messages, chat, agendas, documents, a powerful search engine, a native mobile app and integrations with platforms such as Google Drive, Office 365 and SharePoint. These employers are ready to hear what you have. Get your CVs done and discuss to them in person. They have opportunities for you waiting on their table. So make sure not to miss our Amsterdam Tech Job Fair and start your dream job. Join us! Tickets are available here. See you soon! Running a business is not easy! Challenges are everywhere. From planning to decision making, managing a business involves complex processes. But, this generation is lucky because there’s K2, a powerful application that helps simplify complex business processes. K2 was one of the participating companies at our recently held Barcelona Tech Job Fair last 4th of April. They were looking for people who will help them continue the success they already started. They are an award-winning business application software company with five locations and 500 employees around the world. Their business applications and tools help people worldwide create successful solutions and increase mobility. AI refers to different fields of study, which include – but are by no means limited to – robotics, machine learning, neural networks, natural language processing and the type of AI that’s often explored in science fiction: artificial general intelligence. The central goal of AI is to create a smart machine. Machine learning is helping businesses today. One key area where AI and machine learning can create value in companies today is the acceleration of the decision-making process. Machine learning has the ability to analyze vast data which delivers faster and more accurate results. It can gain valuable insights from data in a way that humans cannot. In order to automate well-structured decisions, setting up a machine learning framework is suitable for organizations. It analyzes not only business data but also typical trends in the approval process. Machine learning provides objective and data-driven answers when organizations need to make a choice. Dealing with an AI agent that is able to make decisions on behalf of the team, with the attributes and capabilities of a person running a department. It's important to understand the limitations of this technology as AI and machine learning are still developing. However, if one organization remains hesitant, they could miss the valuable opportunities that today's machine learning technology offer in business. K2 empowers companies by providing them with a powerful tool that enables them to create their very own business process application. They help transform what already exists into a more flexible and innovative platform. K2 changes the perception of what is possible. Want to know more about K2? Visit their website and see this company's success over the past years. They are also available on Facebook, Twitter and LinkedIn. We have plans in life that we want to fulfil. We have dreams that we're aiming to achieve. Real challenges in life come after you graduated from school, and that starts with finding the right employer. We know the struggle. We know how hard it is to look for a company where you will feel appreciated; where you see yourself fit in. Meeting your target employer is not easy because you have to travel from place to place. We want to express our gratitude to Gastrofix as one of the participating companies at our Berlin Tech Job Fair last 29th of March. The event was a success! Gastrofix GmbH, headquartered in Berlin, was founded in 2011. They currently have 140 employees and are represented in 7 countries. The company already sold more than 15,000 licenses and a managed annual turnover of 4 billion euros. One of the most successful in Europe is the iPad cash register system of the same name. They make every operation efficient because, with them, a cash register becomes a digital control system. Their mobile iPad POS system has been developed specifically for the hospitality and hotel industry, and completely replaces proprietary cash registers, gastro-cash desks and PC POS systems. The cloud-based Backoffice consists of a software solution with a variety of different modules, which previously required different computer platforms. Gastrofix offers its customers tailor-made solutions ranging from a simple "quick-service or counter-service checkout" solution to more complex systems for chain-based hospitality units. Their iPad POS solution works synchronously in the network system and requires only one WLAN connection. It is user-friendly and fast usability. If you're looking for the next step on your career, then you're on the right article. The company is giving you the opportunity to work with a great bunch of people and international crowds. Learn and grow together. The company is willing to guide you every step of the way. Their team met many great applicants during the job fair! If you missed that event, they still want to hear from you. Visit their website to see all the opportunities and benefits they can give you when you join their team. A happy and peaceful working environment is waiting for you. If you still want to know more about Gastrofix and their products, follow them on Facebook, Instagram and Twitter. 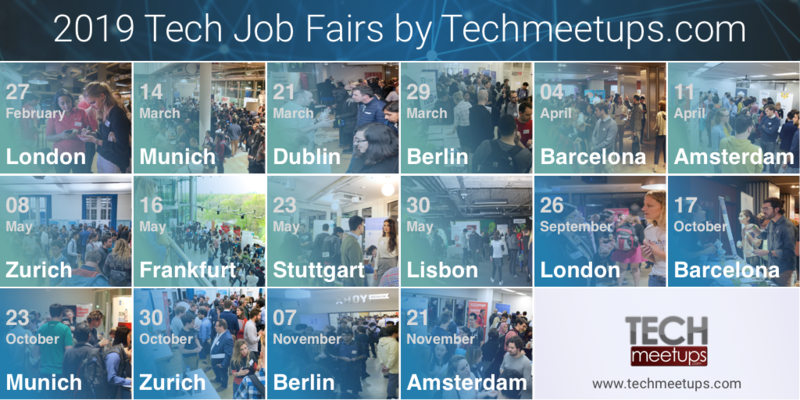 From Berlin, we will now travel to Barcelona for our Tech Job Fair. And once again, several companies will be there to join us. They have job vacancies which you might be interested to check. Maybe, this event can finally help you get hired by your dream company. We are always proud to introduce each company who will join our job fair because we want you to see the type of employer you might work with in the future. And today, Hesehus wants you to know what's waiting for you. Hesehus is Denmark's largest e-commerce solution provider that specialises in the development of award-winning B2B and B2C webshops. They have one goal in mind - and that is to create ambitious e-commerce solutions. The company has the best people in their line of business. They always set their standards high to improve and develop the state-of-art e-commerce solutions software of Hesehus. 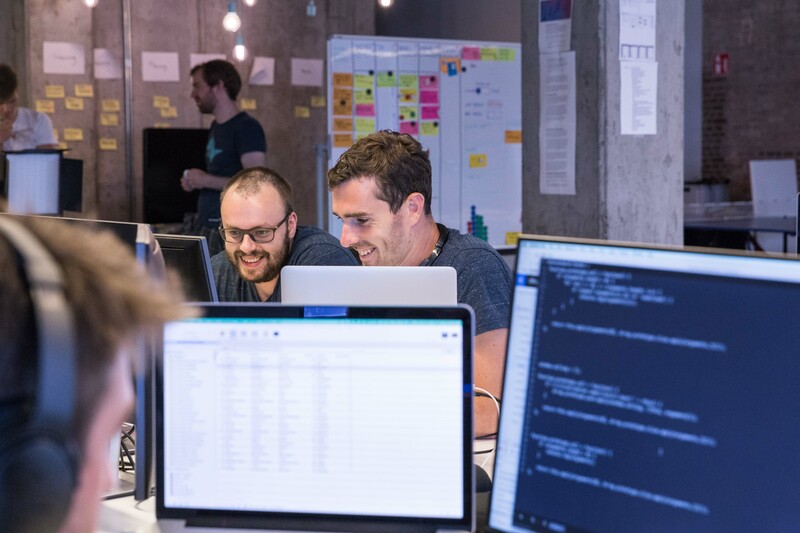 When you join their team, you become a part of the largest developer environment on Funen which consists of more than 60 committed and highly professional developers, designers and architects. Hesehus’ culture is imbued with a strong social unity with many celebrations and social events. You can expect a challenging and varied workday in a flat, social, and team-based structure. The company is among the best workplaces in Denmark 2016 - Danmarks Bedste Arbejdspladser® 2016. They have outlined this certification based on the parameters such as the employees' confidence in the management, the pride in their jobs, and the sense of community and atmosphere in the workplace. The consultancy firm, Great Place to Work®, is behind this certification. Hesehus values this kind of certifications because it makes it easier for them to strengthen their organizational culture and the social environment of the company. Hesehus works strategically with ongoing training. They care about knowledge sharing and professional sparring. Hesehus Academy Fridays give you room for immersion and free play to try out new technologies. Moreover, the company also offer their employees ongoing courses, certifications and participation in conferences such as GOTO Copenhagen and Design Matters. Just like everyone with staff responsibility, also offered training within management and competency development. Hesehus focuses on a talented organisation. They believe that best results come from teamwork and in utilizing the competencies of their employees. At Hesehus, one talented employee is not enough. Their success demands that everyone should develop and contribute their best. Hesehus is your place to be, and your chance to to relocate to an awesome tech company. 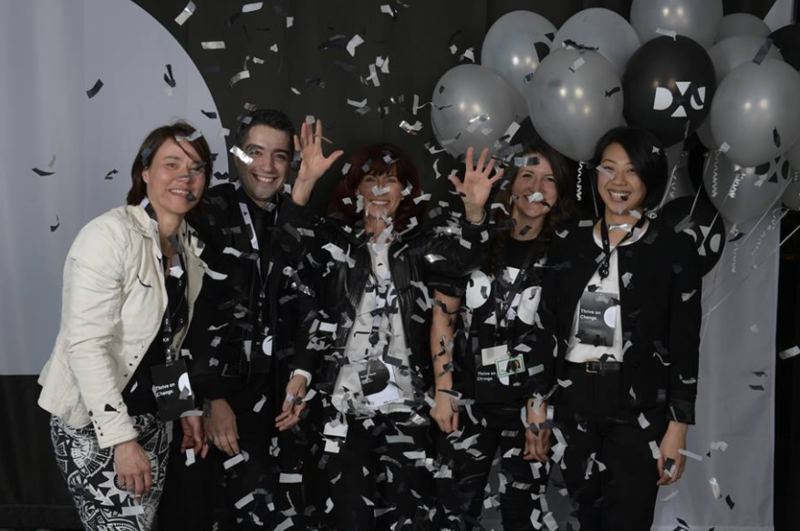 This year, our Barcelona Tech Job Fair, is meant to help you find and get your dream job. Check out Hesehus’ website for more details about them. Follow them on Facebook, Instagram and LinkedIn to get their latest job vacancy updates. They will be waiting for you in our Tech Job Fair. See you in Barcelona! Life is simply too short to worry about parking! Parkmobile is part of the Parkmobile Group. The Group has grown, since its founding in 2000, to be the leading provider in the world for on-demand mobile payments and digital solutions for on- and off-street parking. With Parkmobile, parking becomes smarter, simpler and more easily accessible for drivers, operators and cities. Through our creative and innovative software solutions, Parkmobile finds the perfect parking spot and helps motorists to pay with the click of a button for parking. Overall drivers enjoy a positive mobility experience, where parking is not simply the end of a journey but the start of a new one. We are a company where our customers are at the heart of everything we do. As one team we try to inspire our industry and each other by turning innovative ideas into solutions. We value teamwork and open and clear communication. We have belief and determination, a positive attitude and radiate joy what we do. We are always interested to find talented people to come work with us, particularly in IT support and development sales, marketing, operations. Our open positions career.parkmobile.com Click for details, and go ahead and apply. Do you think you are the man or woman for this vacancy and do you think we should drink a cup of coffee? Come and meet Parkmobile at Amsterdam Tech Job Fair Autumn 2017 on Wed 29 November 2017 from 18:00 at WeWork Weteringschans. On Honeypot more than 650 companies apply directly to developers with salaries from €40,000 to €120,000. Create your profile and fill in some details about your experience and ideal position. We value code not CVs so before being accepted onto Honeypot, each developer is individually code reviewed. We also do a quick call to find out what you are passionate about and to match you to the best positions. Companies browse developer profiles by applying filters for technologies, location and salary range. They then request an interview by sending interview invites with salary and tech stack upfront. Privacy is important to us. By default, your current employers won’t see your profile. You can also choose to block your profile from other companies. Your talent rep supports you in finding your ideal role. He or she is your personal career assistant and will help you create your profile, get the best job offers and negotiate your salary. Feel free to ask them anything before, during and after the job hunt! Your profile is visible to companies for a three week period, condensing the job hunt into an efficient time frame. Companies on Honeypot are hiring for the frontend, backend and mobile developers, devops, data-scientists, CTOs and more. Want to join the team? Good News for techies! Honeypot joins us at Amsterdam Tech Job Fair Autumn 2017 on Wed 29 November 2017 from 18:00 at WeWork Weteringschans. Powered by a strong entrepreneurial spirit, CEO and founder Jeroen De Wit started his own web design agency during college together with co-founders Willem Delbare and Mathias De Loore. A customer's request for project management components prompted the idea to build a standalone software application - from the ground up. Eventually, they switched their entire focus to supporting and developing their new CRM software. 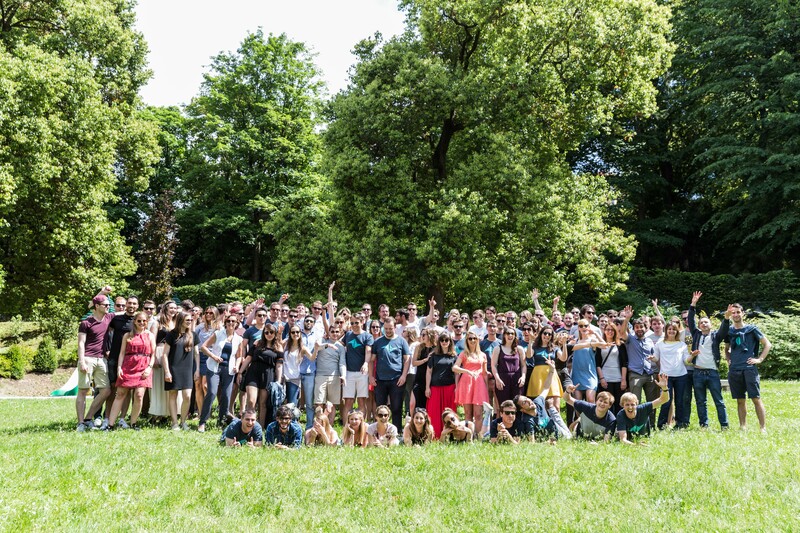 Teamleader was founded in July 2012, and grew organically from a customer-centric philosophy. The CRM module, the beating heart of the tool, was built from scratch, based mainly on customer feedback. Teamleader is in constant flux. 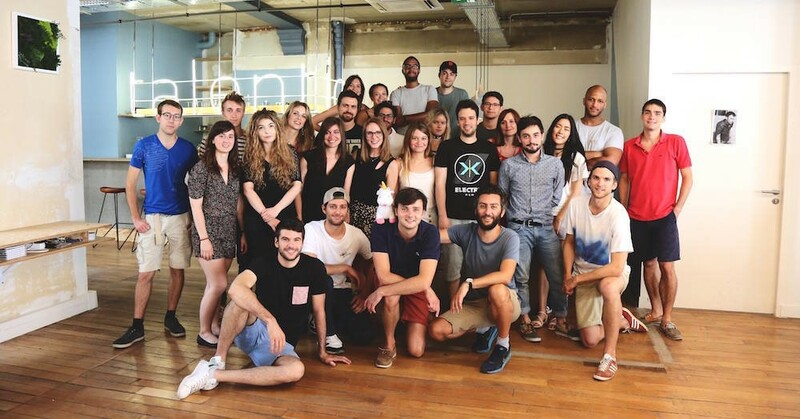 Once Teamleader began to take shape, funding was raised through 3 consecutive funding rounds: a Seed Round of €1 million in May 2014, Series A of €2.5 million in May 2015, and Series B of €10 million in November 2016) to further fuel our growth. We’re excited what the future holds! Over the course of two years, Teamleader opened offices in Amsterdam, Berlin, Madrid, Milan, and Paris. 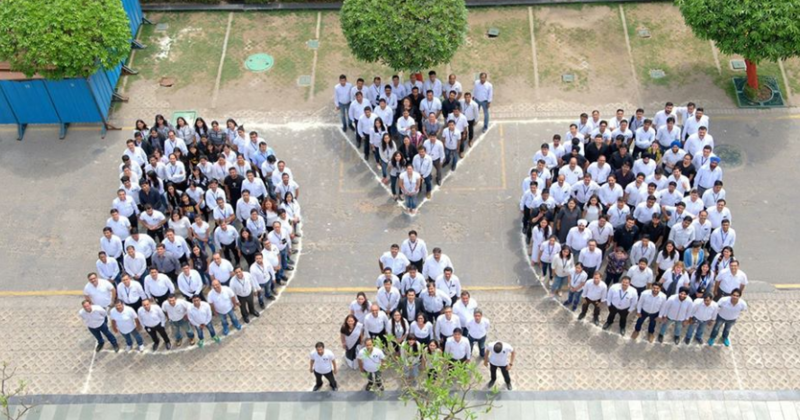 Teamleader now counts 170 employees and is still growing strong. In the last 5 years, Teamleader has earned public recognition with numerous national and international awards and nominations. Every day, our passionate team works hard to improve our product in our mission to help SMEs work smarter. We will do everything in our power to help customers focus on what matters most. Better culture means better business. We want to create an environment where everyone thrives professionally and personally, and offer a truly great place to work. Our company culture sets us apart and makes working at our company a unique experience. We want to work together to further develop Teamleader’s success and help each other along the way. Above all, we value honesty and transparency in the workspace. If a strategy or tactic isn’t doing the trick, we want to act fast and shift gears quickly. Someone has a great idea? We’re all ears! Since we’re growing at rocket speed (in 2016 we hired more than 80 new colleagues and gained more than 3,000 customers), everyone has the power to contribute to the success of Teamleader. Everyone at Teamleader gets the proper tools to develop themselves further. Each employee receives a personal perks budget to grow and polish their skills as a professional. What’s more, you might even catch us crawled up in a corner reading a business book or listening to a podcast. Or practicing pool, doing FIFA flair shots or table tennis forehand smashes. Because, well, why not? At Teamleader, we can count on each other: we’ll help you tackle your workload after you’ve been ill, we’ll lend a hand across departments and let you have that last Snickers bar if you feel you’ve earned it. 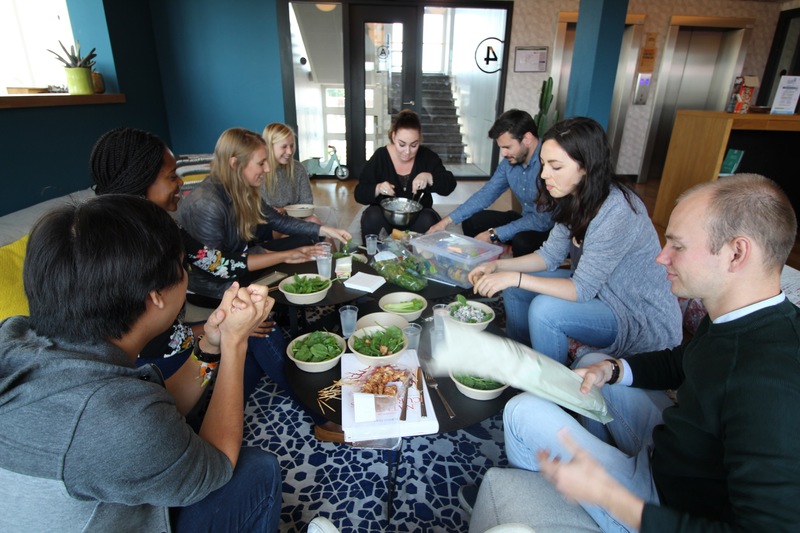 Plus, we love to spend some time away from our desks and organise plenty of teambuilding activities such as sports and outdoors activities, as well as workshops, and training days. In fact, there’s rarely a dull day at the office. Our offices ooze a certain energy that’s contagious, electrifying even. The Teamleader crew is an energetic bunch of people; a team you’ll soon learn to love. 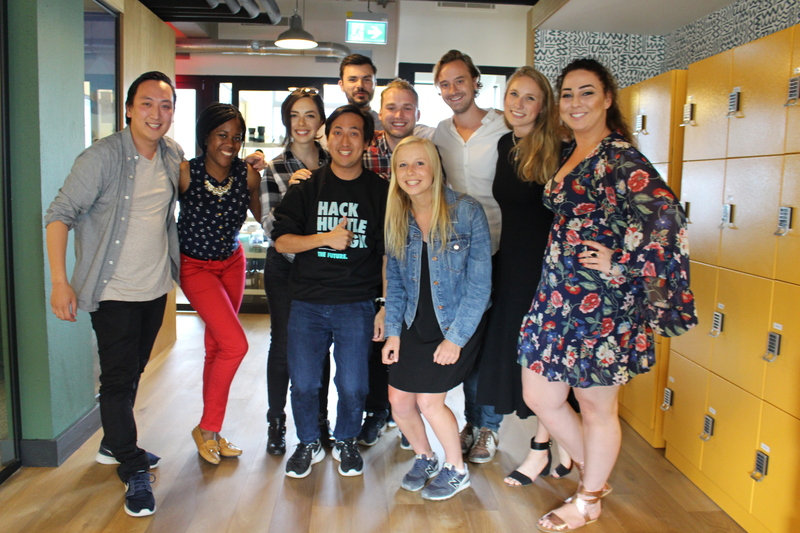 Working alongside so many young, ambitious people (the average age of our employees is under 30) it’s key to offer possibilities for self-empowerment and growing your career. When you start your Teamleader journey, you’re in for a hell of a ride. We offer the opportunity to explore new career paths in other departments or gain more responsibilities as you grow - as long as you prove you’re up for the job. Great news for all you techies out there! Teamleader joins us the Amsterdam Tech Job Fair Autumn 2017 on Wednesday November 29 at 18:00 at the WeWork coworking office spaces Weteringschans. Dashmote is an Amsterdam based company that is working to bring Artificial Intelligence based solutions to marketers. We bridge the gap between images and data for customers like TUI, Philips, Heineken & Unilever in areas such as Sourcing Imagery, Trend Analysis, Social Listening and Influencer Marketing. Through Artificial Intelligence & Computer Vision, Dashmote decodes the visual web and extracts valuable insights from images. We help brands understand and predict consumer trends, based on where, when and what people are posting on social media; enabling them to get a clear picture of customers at an individual level. 1.8 billion images are uploaded to social media every day. Brands are looking to optimize their marketing efforts on platforms such as Instagram and Snapchat, but lack the tools to make use of the images. 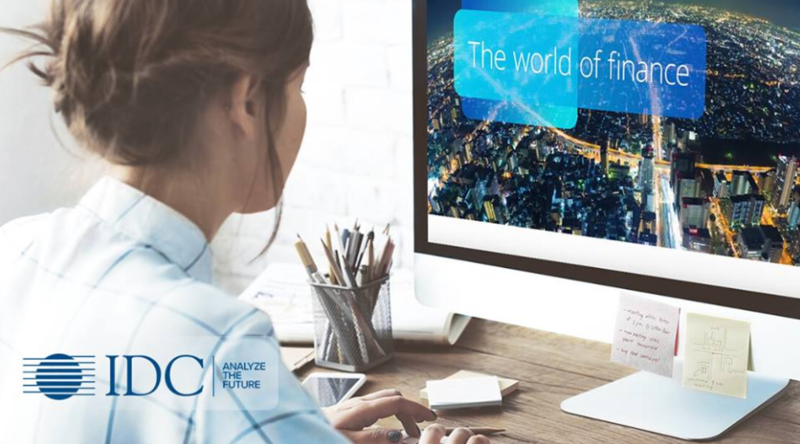 With the vast amount of image data online, visual data insights are increasingly valuable in marketing that is adapting to digital consumerism. As consumerism relies more on social media and visual communication, we want to help marketers better understand and keep up with changing consumers. Dashmote provides solutions for marketers by identifying consumer trends from the large amounts of “invisible” visual data on social media and all over the web. Our proprietary technology is versatile but we offer three main services: Visual Market Research, Visual Brand Intelligence and Visual Sales Intelligence. Founded in 2014 by Dennis Tan, Matthäus Schreder & Stefan Tan, Dashmote set out on a mission to better understand the world of visual content and unlocking the value behind the massive amount of visual content present online. We are a mighty, yet small team that strives to make a dent in our universe, specialised in the fields of Sales, Marketing and Tech. Being a dynamic and fast-growing scale-up, Dashmote cherishes self-starters and out of the box thinkers that are constantly seeking for new challenges on a professional and personal level. We value flexibility and versatility in skills and for us, it is important that each person on our team is unique in their own way and can contribute in many areas within a project. We work hard while drinking excessive amounts of coffee, but also know how to enjoy a day out and few beers on a Friday afternoon.